Available for industrial, editorial, and travel assignments. Based in Charlottesville. Provides artist renderings of past and current projects. Located in Charlottesville. Residential and commercial appraisal firm located in Charlottesville, Virginia. Located near Charlottesville, VA. offering bred females, herdsires, fiber products. Charlottesville based recruiter with specialization in systems audit and security roles. Translation, interpreting, consulting, editing and language instruction. Based in Charlottesville, United States. Charlottesville, Virginia based architect offering sustainable design, consulting services, buildings, and green architecture. Specializing in people and product photos in the studio or on location. Also, offering stock travel images. Located near Charlottesville. Provides details on office, retail, industrial, residential and land valuation services from offices in Richmond and Charlottesville, VA.
features an online flight guide, general aviation and pilot information, airlines, directions and contacts . Specialists in book design, music and spoken-word packaging, logos, brochures, and websites. Charlottesville, Virginia. Source for residential, commercial, and equity loans. Includes articles, staff profiles, client testimonials. Based in Charlottesville. Wedding, special event and portrait photography. Charlottesville. Residential and commercial architecture, planning, research and interiors. Green and environmentally responsive design strategies. Charlottesville. Specializing in photography of the built environment for 14 years. Now offering complete digital post-production services. Based in Charlottesville. Facility includes a photo studio, digital imaging department, custom photo lab, and Nimlok exhibit showroom. Charlottesville. Helping people understand their unique thinking processes so they can develop better strategies for enacting more effective performances, whatever those performances may be. Charlottesville, Virginia. Full-service architecture and community design firm located in Charlottesville, Virginia and San Francisco, California, with an emphasis on sustainable design. Charlottesville, Virginia architectural firm merging sustainable and green building design in commercial, cultural, residential and institutional projects. Creative studio specializing in logos and corporate identity, environmental graphics, and web design. Site has portfolio and company contact information. Charlottesville, Virginia. manufacturer of classification file folders, color coded folders, and visible record equipment. based in charlottesville, virginia. Author writes memoirs or life story by serving as ghostwriter or editor. About memoirs, family histories, adoption books, his story and contact information. Charlottesville, VA.
Virginia country landscapes, Charlottesville, Colonial Williamsburg, line art, house portraits. 35 Charlottesville Ice Park Charlottesville, Virginia. Charlottesville, Virginia. Located in the historic downtown mall. 36 Charlottesville Ice Park Charlottesville, Virginia. Public skating, hockey, freestyle, broomball, classes, parties, and pro shop in Charlottesville, Virginia. Includes schedules and photos. Offers weekend tour packages in the Charlottesville, Virginia area. Includes a schedule, a profile of the owner, and a list of suggested lodging. A mini Schnauzer living in Charlottesville, VA.
Ice skating and hockey facilities in Charlottesville. Bicycle retailer in Charlottesville, VA.
History of the vineyard, news, and a list of their wines. Charlottesville. Lessons with Katherine-Scott Gillian, certified teacher. Charlottesville, Virginia. Lacrosse in Charlottesville with information about Seminole league, training camps, bookstore and related links. Stallion standing at stud. Offering photos and sales page. Located near Charlottesville. Offers outdoor adventures and social activities. Includes details and contact information. Includes contacts, meeting times, explanation of weapons and rules, links to equipment vendors, and FAQ. Charlottesville, VA Club where you can Learn/train/explore practical and functional fighting skills in a relaxed friendly atmosphere. Uses BJJ as its base. Charlottesville producer of red, white, and sparkling wines. Features product details, staff profiles, information about their winemaking, and a company overview. Boys U14 travel soccer team in the Charlottesville-Albemarle area. Includes news, history, photos, sponsors, and related links. Offering hot air balloon rides over Charlottesville and Central Virginia. Lacrosse in Charlottesville. Information about Seminole league, summer lacrosse, camps, bookstore, links. Veterinary facility provides vaccinations, examinations, specialty medical and surgical care. Charlottesville. Practitioners in Roanoke, Charlottesville, and Northern Virginia. Includes description of subject, frequently asked questions, client testimonials, practitioner profiles and contact details. A women-owned and operated campground located between Charlottesville and Richmond that offers cabin and Rv sites with electricity, tenting, swimming, fishing, canoeing, hiking, paddleboats, volleyball, hot showers, and horseshoes. Offers tours in the Charlottesville, Virginia area, and also operates a vineyard. Contains itineraries, pricing, reservation information, and pictures of their vineyard. Four-season resort set in the Blue Ridge Mountains near Charlottesville, Virginia. Indoor and outdoor tennis courts, golf, skiing, a fitness center, and hiking trails. Located near Charlottesville, this 17-year old winery offers views of the Blue Ridge Mountains from its vineyards. Tasting room information, events list and directions. Steeplechase held annually each Spring and Fall in Charlottesville, Virginia. Includes history of the event, a sponsor listing, ticket information, schedules, and registration for the Foxfield Chili Cook Off. Specializing in the breeding and training of European Sporthorses. Standing at stud German Imported Rheinlander stallion Donnerluck. Pedigree, photo gallery, and breeding information. Located in Charlottesville, Virginia. Offers site design and graphics. Located in Charlottesville, Virginia. Offers wireless internet connections in a coffehouse and juice bar setting with multiple locations in Charlottesville. Includes history, description of services, entertainment, and menu. Providing design services, programming, eCommerce solutions and graphic design. Based in Charlottesville, Virginia. Includes forums, rules and a roster. Held in February, in Charlottesville, Virginia. Board games, miniatures and CCGs. 88 Charlottesville Ice Park Charlottesville, Virginia. 89 Charlottesville Ice Park Charlottesville, Virginia. First Presbyterian Church has been serving Charlottesville and Albemarle County, VA since 1839. 108 Rugby Avenue Church of Christ Charlottesville, Virginia. charlottesville firm focusing on patents and intellectual property law. civil litigation firm emphasizing personal injury, from offices in richmond and charlottesville. service area: charlottesville. site offers information about the company, its services and facilities. Information on upcoming events, children and youth programs, music, and outreach. Charlottesville - Center specializes in viniyoga, anusara, kripalu, and meditation. Group and private instruction. general practice law firm, offering personal, business, and criminal defense services, from offices in charlottesville. Founded October 25, 1998, in Charlottesville, Virginia. Photo album and history. Daily group yoga classes in the Bikram method. career overview, blame the vain review, and concert preview, charlottesville pavilion in charlottesville, va.
Charlottesville Virginia indie rock and jam band Indecision has been at it for 20 years now. In that time theyve played to thousands of fans, toured long and hard, and have had times of inactivity as well. charlottesville, virginia based harmonica player. Performer and instructor in Charlottesville. Includes classes, workshops, photo gallery and links. Basic information for service in Charlottesville and Central Virginia. Performance troupe in Charlottesville, Virginia. Includes biographies, local events, and links to other dancers. a stone carving studio in charlottesville, virginia which offers entry-level apprenticeships and classes. 130 monticello high school marching mustangs charlottesville, va. Belly dance classes, performance, and events in Charlottesville, Virginia. Includes photos, articles, event information and choreographies. An extended blues-rock jam band from Charlottesville, Virginia. Includes news, discography, photos, audio samples, lyrics, show dates, merchandise, and forum. Blog site for Richmond- and Charlottesville-based school that offers classes for all levels and ages of students. Annual weekend-long event held in Charlottesville presenting classic and premiere screenings. Includes logistics, archives, volunteer opportunities, and press releases. Includes dance calendars and dance opportunities in Virginia, USA. artist cynthia pollard specializes in custom hand painted decorative floor cloths, wall hangings, faux finishing, and acrylic painting. she is located in charlottesville, virginia. images, introduction, and biography. SiteBook Charlottesville City Portrait of Charlottesville in Indiana. 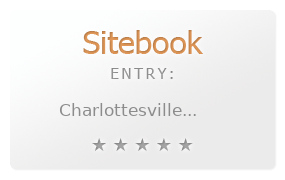 This Topic site Charlottesville got a rating of 4 SiteBook.org Points according to the views of this profile site.